Many eye conditions and vision problems have no symptoms in the beginning, yet the longer they go undetected – the more potential for damage to be caused. For this reason, experts recommend routine, comprehensive eye exams to inspect for any signs of a disorder. At Midwest Eye Associates, our team of professional optometrists will perform a thorough evaluation of your eye health and visual acuity. Located conveniently in St. Charles, St. Peters, Creve Coeur and Wentzville, Missouri, all of our offices are welcoming and equipped with the latest, modern technology. We look forward to checking the eyes of all of your family members, from babies to seniors. Why Do Children Need Routine Eye Exams? Certain learning disorders and many developmental delays are strongly associated with vision problems. 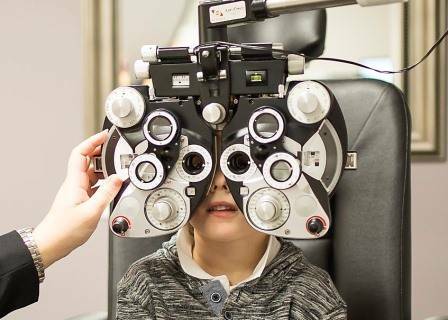 Every parent wants their child to succeed in school, and scheduling regular eye exams will ensure that an undiagnosed vision condition isn’t interfering with their efforts. Why Are Eye Exams Important for Adults? Aging is linked to a higher risk of many common eye diseases, including macular degeneration, cataracts and glaucoma. Early detection of these disorders will enable us to provide treatment immediately, which goes far towards preventing future vision loss. In addition, eyes offer a glimpse of your overall health condition, and there are some medical issues that can be diagnosed during a total eye exam in our Greater St. Louis clinics, such as hypertension or diabetes. 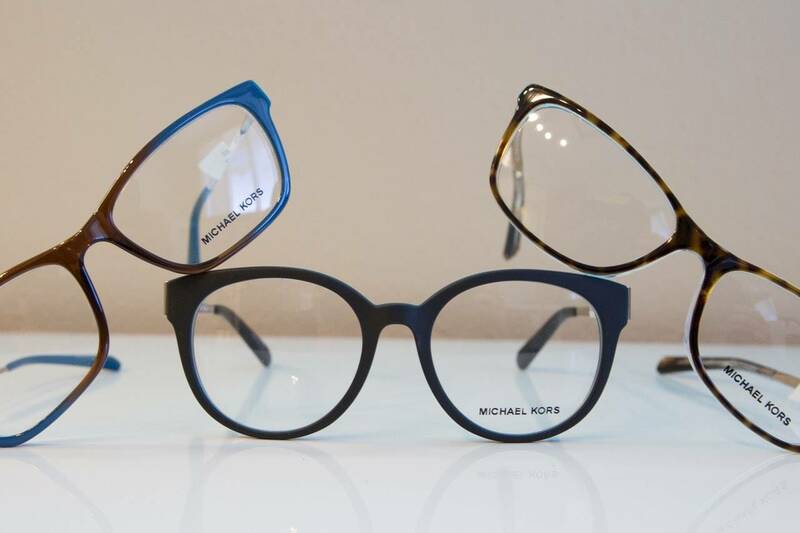 Visual acuity testing is extremely helpful for determining your need for prescription eyeglasses. However, it may be conducted by a volunteer or a nurse, either in a school or local pharmacy, and not generally by a certified eye care professional who is familiar with the signs of eye disease. When our experienced eye doctors check your eyes and vision, we’ll assess all components of your visual system. If any disorders are detected, we’ll design a treatment plan for you. What Happens in Our Comprehensive Eye Exams? First, we’ll greet you and invite you to sit down with us to share your medical case history, information about current medications, family eye history and any vision-related questions that you may have. Then we’ll begin to examine your eyes, checking your visual acuity, eye muscle mobility, color vision, peripheral vision and depth perception. Refraction: we’ll use a phoropter to figure out the lens power you need for vision correction. A series of lenses will be placed before your eyes, and you’ll need to provide feedback. We’ll also use a retinoscope to measure how your eyes focus light. Autorefractor: this tool is most helpful with patients who find it difficult to provide feedback. It can evaluate visual processing by checking how an image is focused on the retina. Cover test: covering one eye at a time, you’ll need to focus on a small image in the distance. We’ll watch your eyes carefully, paying detailed attention to the slightest misalignment that may cause problems with binocularity. Eye teaming evaluation: it’s important that your eyes focus, move and see in unison. External evaluation of the eyes: this is a significant part of checking your ocular health, and we’ll examine your cornea, eyelids, conjunctiva and eye tissue. Retinal exam: performed to inspect for signs of eye disease, dilating eye drops are generally applied before we use a high powered lens to inspect the retinal tissues at the back of your eye. When should you reserve regular eye exams? According to the American Optometric Association (AOA), children should start with their first eye evaluation at a half-year old. The next exams should be done at 3 years old, and then before starting school (5 – 6 years old). If your child needs vision correction, then eye exams should be done yearly, otherwise every two years is sufficient. The AOA recommends that adults over age 40 schedule an eye exam every year. This is the best way to check for the start of any ocular diseases, such as cataracts and macular degeneration. When it comes to vision after age 60, it’s best to consult with your doctor to determine if you need a comprehensive eye evaluation more frequently than once a year. If you have a health condition that puts you at a higher risk for eye disease, such as diabetes and hypertension, regular exams may also be advised on a more frequent basis. 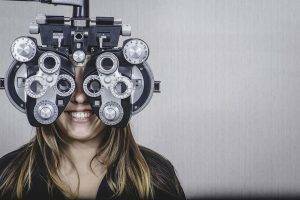 After we check your eyes and eyesight completely, our expert optometrists will share their findings with you to discuss any necessary treatment. Quality vision begins with healthy eyes. Contact us to book a comprehensive eye exam at Midwest Eye Associates, serving the Greater St. Louis area!